Originally from Toronto, Jessica Carter worked in the film and TV industry for years, heading up the makeup department on a show called Degrassi. Living between Toronto and Cuba, the idea of moving overseas full-time was always something she wanted to do. In particular, she was interested in Panama. 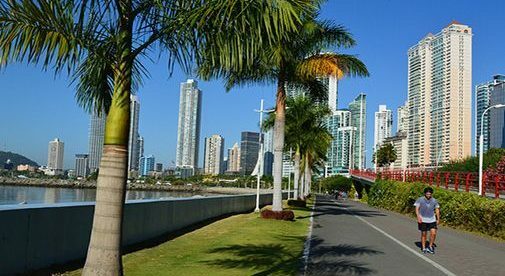 When looking at the cost of living in Panama compared to Toronto, it is drastically different. “Toronto is a crazy, crazy expensive city. So, it is for sure less,” she says. When thinking about her monthly budget, Jessica was most surprised at how cheap her electricity bill turned out to be. “With so many hours of sunlight, I hardly ever have lights on in the house,” she says. “I am outside the city, so there is no traffic noise, and I get a great cross breeze. My monthly budget is around $1,500, and sometimes it is less.” She rents a house and she also owns an investment property. Jessica funds her life by providing makeup-artist training classes, workshops, and programs for teenagers. She also runs a women’s skill-building program. “I do not have a set schedule. I teach marginalized women how to be makeup artists.” In addition, Jessica works as a yoga instructor, health coach, and hypnotherapist. No longer tethered to an industry with grueling work schedules, she feels free to create the life she wants.